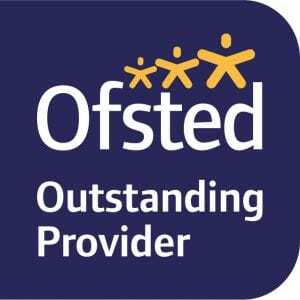 As recognised by a recent Ofsted inspection both behaviour and safety are outstanding at our nursery. The warm, welcoming family atmosphere of the nursery and the consistent daily routine mean that children quickly settle in and become confident and independent. We teach considerate behaviour towards one another through daily chats and reminders, stories and nurturing activities such as holding baby chicks. We support the development of social skills through modelling behaviour, activities, drama and stories. Learning to share toys, adult’s time and space are all key skills that children develop at nursery, and for many three year olds, this is quite difficult and takes time! With pre-school children, bullying is very rare because bullying is the persistent, premeditated physical or verbal abuse of others. However, through acting out (usually with toy puppets or picture cards) scenarios of undesirable behaviour we allow children to develop awareness of what could/should be done in these situations, who to tell and the impact of unkind behaviour on others. For further information about our Behaviour Policy, please visit the School Policies section on our website. If you would like information on how to keep your child safe when using computers and other IT devices, please visit our Online Safety page. It is full of useful tips and informative websites on dealing with online safety for your children.